SO thrilled! 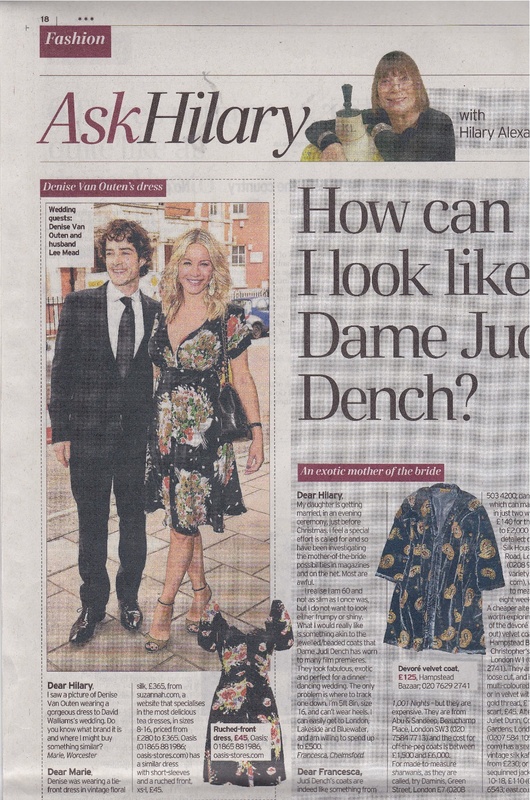 Hilary Alexander has credited Suzannah.com as “a website that specialises in the most delicious tea dresses!” in today’s Daily Telegraph! 30s tea dress is our archive all year classic! We update it each season by tweaking and perfecting the fit. This seasons is in a beautiful Italian crepe de chine silk with a matte appearance.